Huddersfield Town chairman Dean Hoyle has denied reports that Neil Warnock has turned down the chance to manage the side on a short-term basis. Hoyle told BBC Radio Leeds the club have not offered the job to anyone. The Terriers have been without a manager since parting company with Mark Robins on Sunday, 10 August after a 4-0 opening-day defeat by Bournemouth. Warnock, 65, previously managed Huddersfield between 1993 and 1995, winning promotion to the second tier. 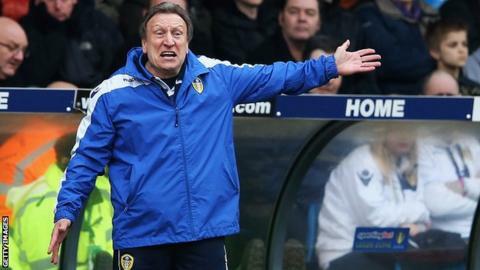 Warnock has been out of the game since leaving Leeds United in April 2013. Huddersfield, who won their first league match of the season at Reading on Tuesday, face Charlton at the John Smith's Stadium on Saturday with caretaker Mark Lillis set to lead the side for a fourth game.